Good news, cloud storage fans! Dropbox has slashed its storage prices, simplified its plans, and rolled in a glut of new tools for paying customers, some of which were previously only available to Business accounts. Here's a brief tour of some of the new features you'll get if you decide to pony up $10 per month or $100 per year. Ordinarily, when you share a link on Dropbox, anyone who comes across that link—in an email, posted on Facebook, scrawled on a bus shelter—can get at those files. Dropbox Pro adds the option to attach a password to the link as well, adding an extra level of security that you can use for sensitive and important documents. You'll need to be in the Web interface to configure the additional settings for the link. Choose the Share link option as you usually would, then click Set visibility/expiration. A new panel appears where you can set a password. Remember to communicate this separately to your contacts—if you include it in the same email as the link, it kind of defeats the point. In the same dialog box as the password option but operating as an independent feature is an expiration date setting. Activate this, and the link will no longer work after a certain period of time. It's a handy extra level of protection to have and it lets you pretend you're some sort of Mission Impossible super-spy with self-destructing messages. Click the Yes radio button on the expiration date option and you can choose from 7 day or 30 day presets or set a custom date of your own. Remember to pass this information on to whomever you're sharing the files with. You can use it alongside the password option or on its own. If you fully share a folder with someone—that is, it appears in both of your Dropboxes rather than just as a link—then either of you can make changes to the files it contains. It's a great way of working on projects in groups, but there may be occasions when you want to share a folder in this way but keep the files as read-only. Upgrading to Dropbox Pro gives you that option. Choose Share this folder from Dropbox's Web interface and on the subsequent dialog box you'll notice a new drop-down menu that sets whether members can edit or just view the files contained in the folder. You could of course also share the folder twice so that some members have editing privileges while others don't. Another feature Pro users can now access is Remote Wipe, which does exactly what you would think. Like the remote wipe tools for iOS or Android, you can use the feature to disconnect computers from your Dropbox account and automatically delete all the files on them at the same time. It means that someone who steals your laptop will see all your Dropbox files vanish as soon as it's switched back on. From your account page on the Web interface, open the Security tab and all of your connected devices appear. Click any of the small crosses to the right to unlink a device—the option to remotely wipe it will appear on the confirmation screen. It goes without saying, but make sure you choose the correct entry, otherwise you might have a nasty surprise the next time you boot up your machine. There are other benefits to a Pro account as well, such as increased sharing limits, priority support, and of course all of that extra space. 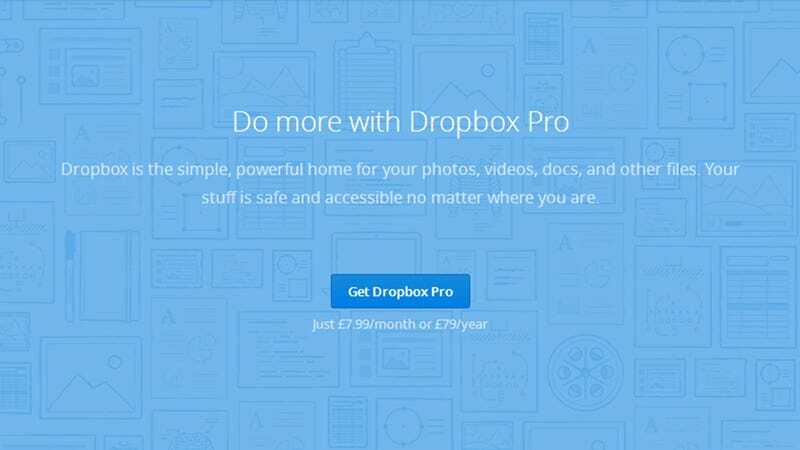 Has Dropbox's bold move tempted you to part with your cash? Or are you sticking with one of the many alternatives? Let us know in the discussion below.